One of the first rules taught to every hunting novice, where you point your gun when you are not using it remains the most important rule of gun safety. Almost all firearm accidents that occur while hunting or even in domestic situations happen because the person holding the gun was pointing it in the wrong direction and the gun somehow went off. To avoid potential disasters such as this, make sure to never have your gun pointed at anything you do not intend to shoot. When not using your rifle, keep the muzzle pointed down and away from anything that can potentially be hurt by the gun going off. This will go a long way towards keeping everybody on your hunting expedition safe. Seasoned hunters have a saying about their rifles: There is no such thing as an unloaded gun. And while this technically is not true – guns can be unloaded and will remain unloaded until someone loads them again – the premise is an important point in the realm of gun safety. In other words, all hunters should assume that every gun they see is loaded, and therefore should handle the gun and any situations involving the gun with caution. Likewise, when you are not using your own rifle, you should make it a point to unload it as a safety precaution. The combined efforts of both the gun owner’s and the person standing near the gun should make it almost impossible for there to be any gun mishaps. The events that take place once you pull the trigger on your gun are out of your control. Keeping this in mind, it is important to know exactly what you are getting into before you pull the trigger. Whenever you have sighted a target (i.e. deer, bear, etc. ), you should make sure the target is alone before you pull the trigger. Scout the area to make sure there is nobody behind the animal, and that your bullet will not destroy something valuable once it has passed through the target. Knowing where your bullet will end up can help you avoid any potential hunting mishaps in the future. 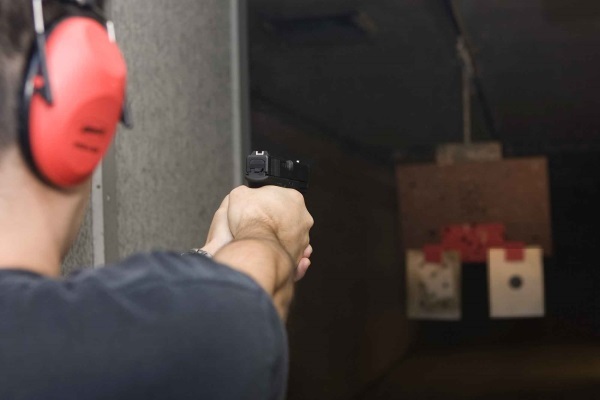 The trigger on your gun is there for one reason and one reason only: to be pulled. Once it is pulled, the majority of the time a bullet will eject from the muzzle (barring any malfunctions in the gun). Knowing this, hunters should make sure to never have their fingers on the gun trigger unless they plan on firing it. Keeping your finger on the trigger when you are not in the act of hunting is inviting a mishap in the form of an accidental trigger pull, which can send a bullet flying where it should not be going. Handle your gun with care, and there should be no issues on future hunting expeditions.